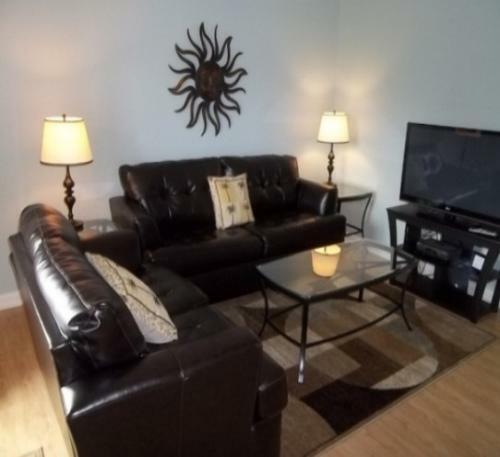 Dewey Beach Vacation Rental – Rainbow Cove 105A Dagsworthy St. | Dewey Beach Dewey Beach Rentals. GREAT LOCATION AT DEWEY BEACH- MINI WEEKS AVAILABLE ! The desired location of the Rainbow Cove condos on Dagsworthy Street is located on the bayside. Newly renovated condo offers 3 bedrooms and 2 baths with an open living room. Mini weeks includes Sunday to Thursday, or Thursday to Sunday. Beautifully decorated. Only walking distance to the beach! Close by to unique shops, restaurants, outdoor sports, and nightlife entertainment. Wash away the the sand with a private outside shower. Necessities includes central air, washer dryer, and dishwasher. Covered parking for 2 cars. Occupancy limit 8. NO SMOKING, NO PETS. Make your beach vacation with us! We really enjoyed our vacation here. The house was very clean and literally right next to the Dewey Beach strip. It was the perfect location- only 1 block from the beach, next to the greatest bars in Dewey, and a quick trolley ride to Rohoboth. We had 7 girls stay at the house. It was a comfortable space with two bathrooms. I would definitely look to book again here in the future. Long and Foster was also a pleasure to work with. They made the whole process very easy and were great at communicating with me. Thank you for your kind comments. It was a pleasure to assist you with your stay! We hope to see you next year! Excellent rental property. Very clean! Ideal location to walk to everything. Would definitely rent here again. I have rented this property from Long & Foster 4-5 times now for Thursday through Sunday long-weekend rentals. The property is perfect...3 bedrooms, 2 bathrooms with plenty of sleeping space and room. Location is perfect...one block away from the beach, right in the middle of Dewey next to the Cork. We have always had a great time staying in this great place, and look forward to staying here again in the future.